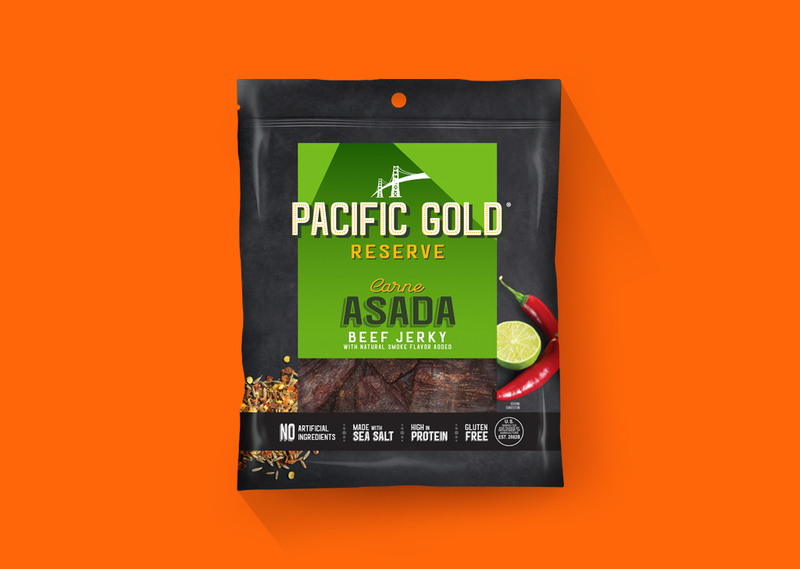 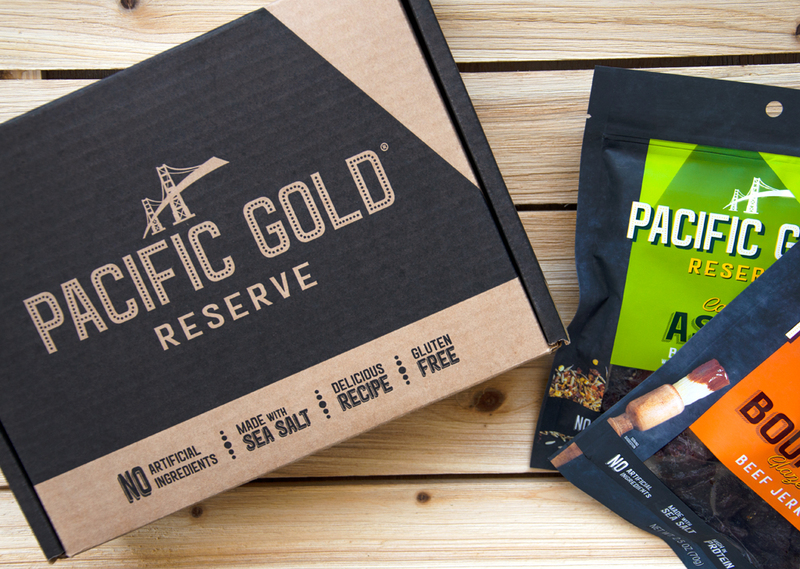 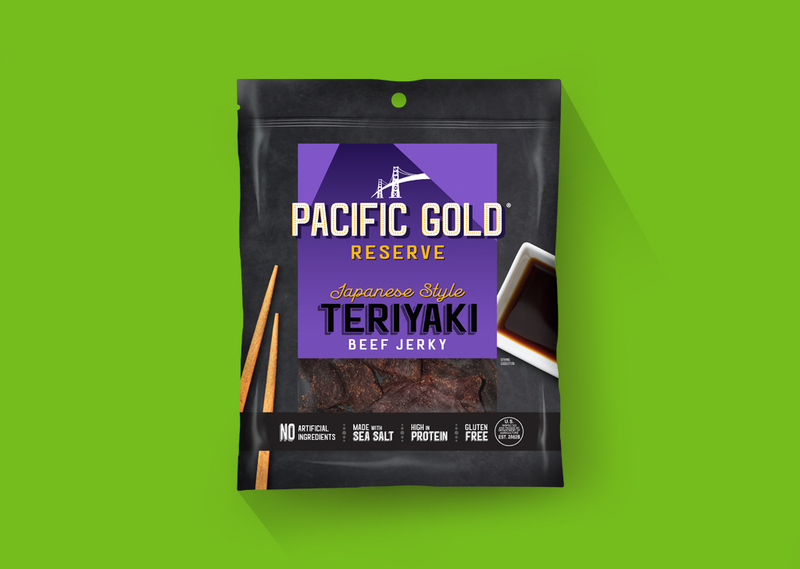 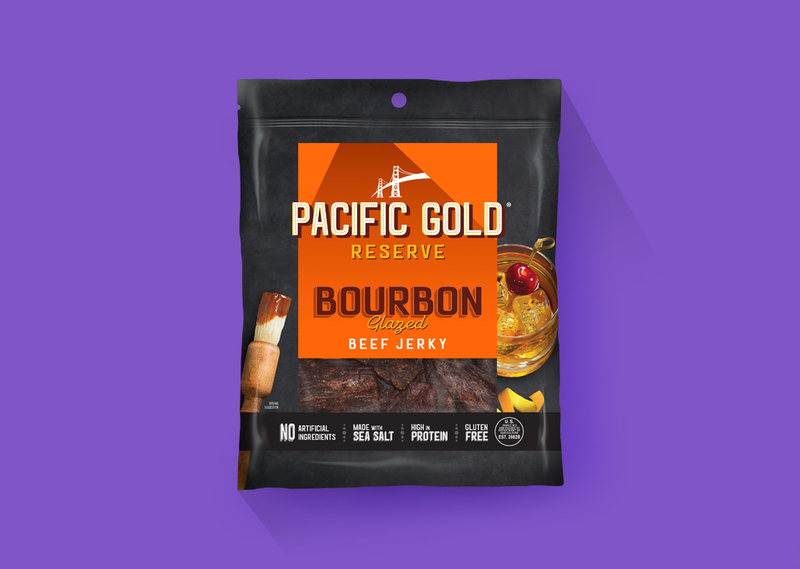 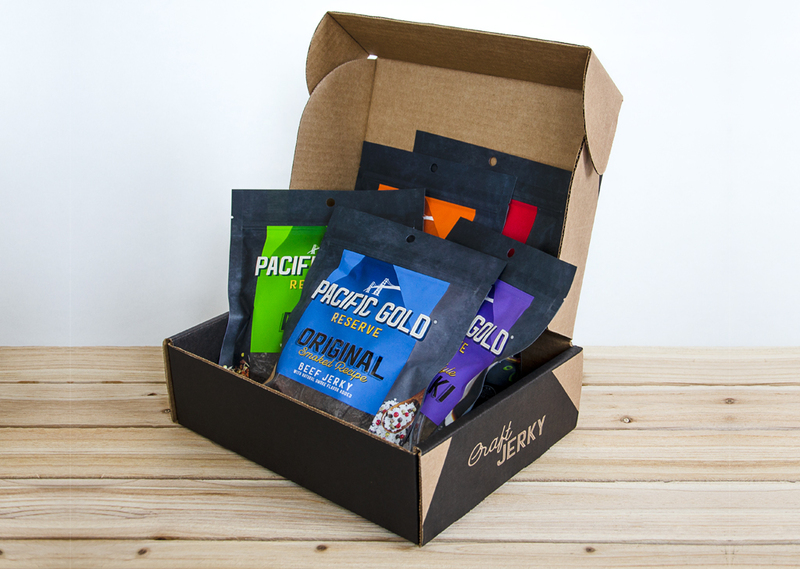 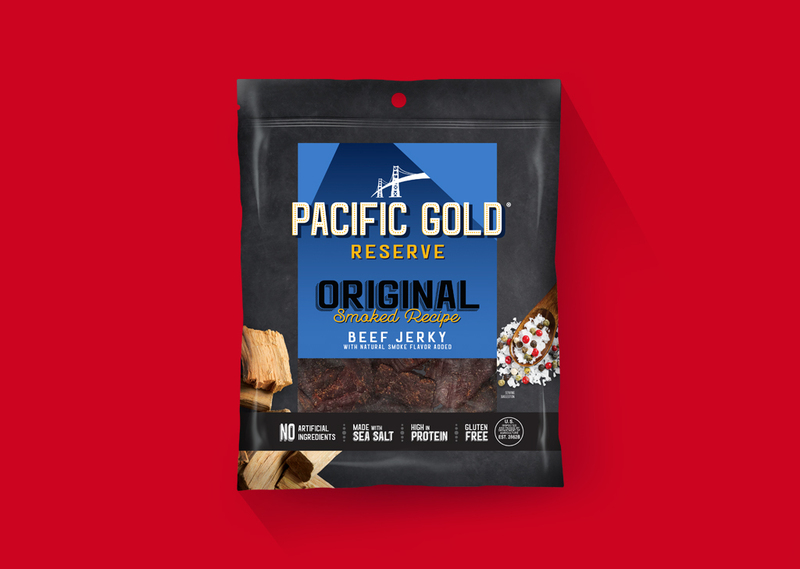 Pacific Gold Reserve beef jerky is a premium jerky inspired by global recipes and crafted with real ingredients. 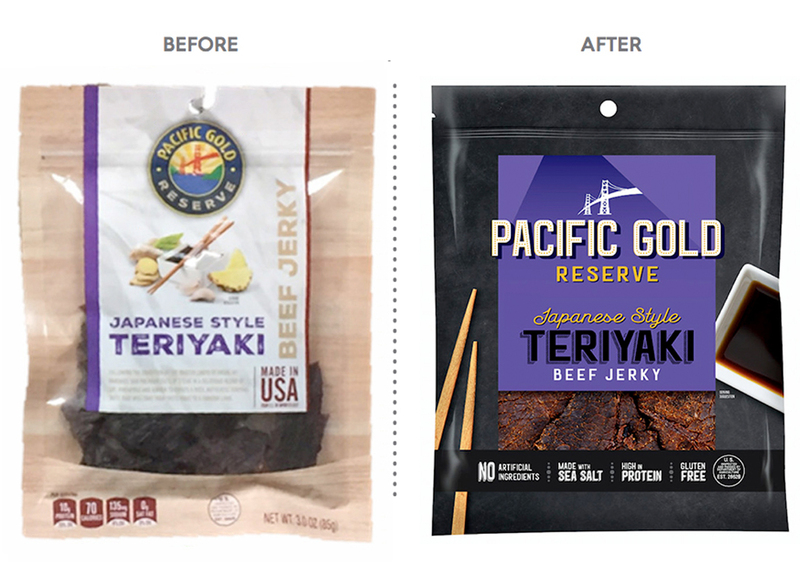 The previous packaging was soft, had no appetite appeal and did not stand out on shelf. 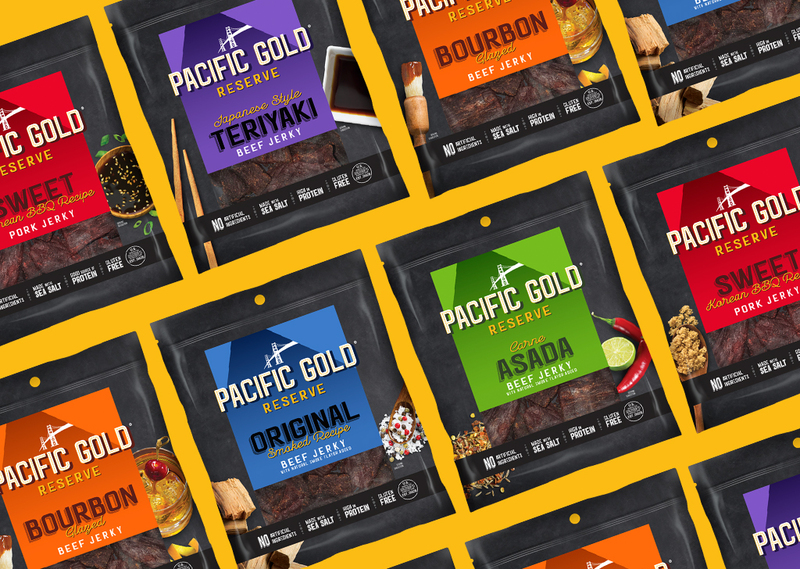 Our solution was to go to a rich, dark backdrop with bright pops of color to really focus the communication on the craft, upscale quality. 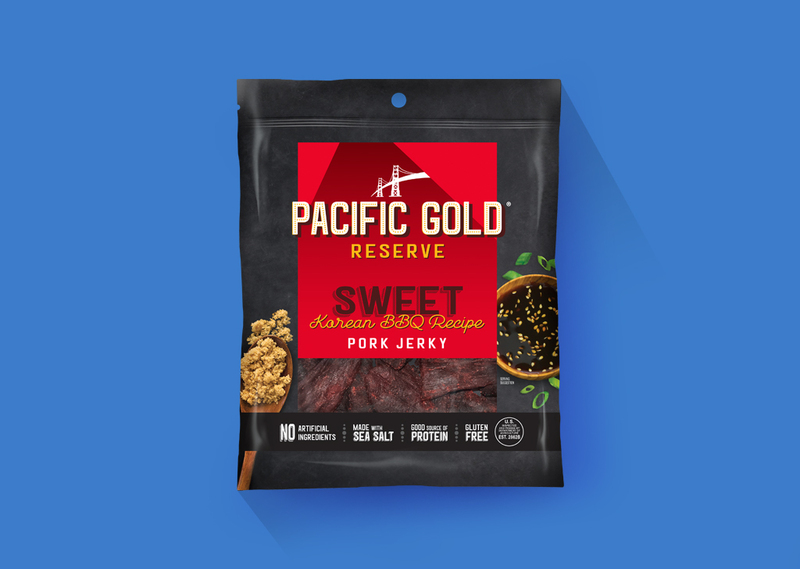 The ingredient photography highlights the main product differentiators: real ingredients and global recipes. 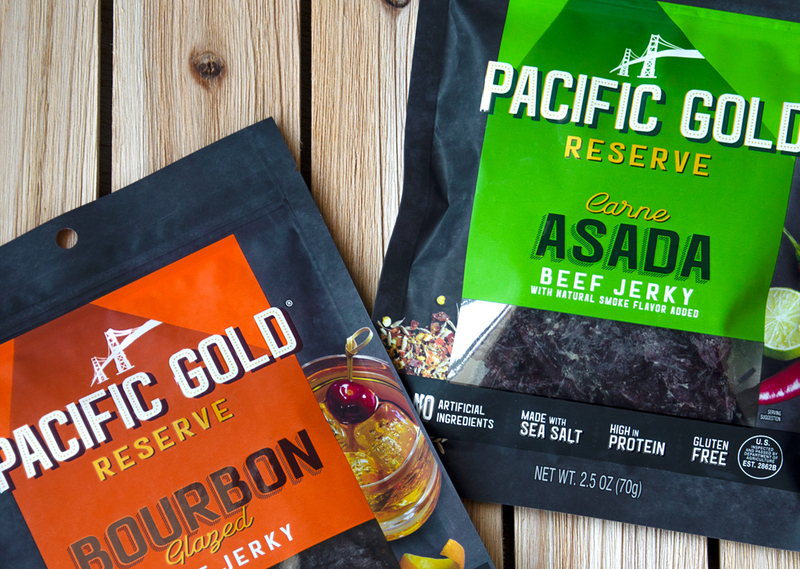 The design stands out from other jerky with it's bright pops of color and rich ingredient photography.